New Converse First String in Store 8.15.12. 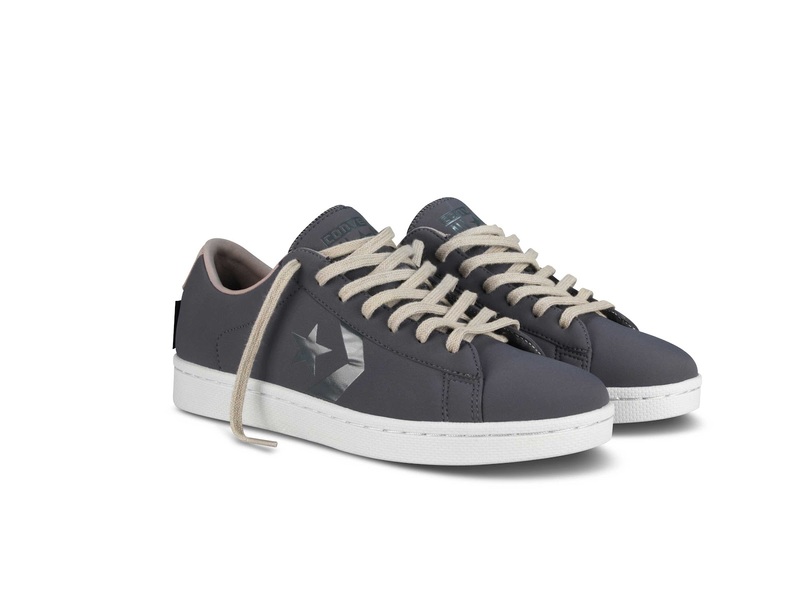 The Converse Schoeller Pro Leather Ox is the first delivery of Converse First String for Fall 2012. Normally rendered in sport specific leather this special edition Pro Leather comes in an understated 'tech' look, utilizing a specialized Neoprene from world-renowned Swiss textile supplier Schoeller. The pro leather comes in a dark shale grey color way with accent highlights of high quality Japanese nylon in a sesame tone. The star chevron appears as a tonal TPU layer and 2 additional lace options are present, including a woven, striped offering. 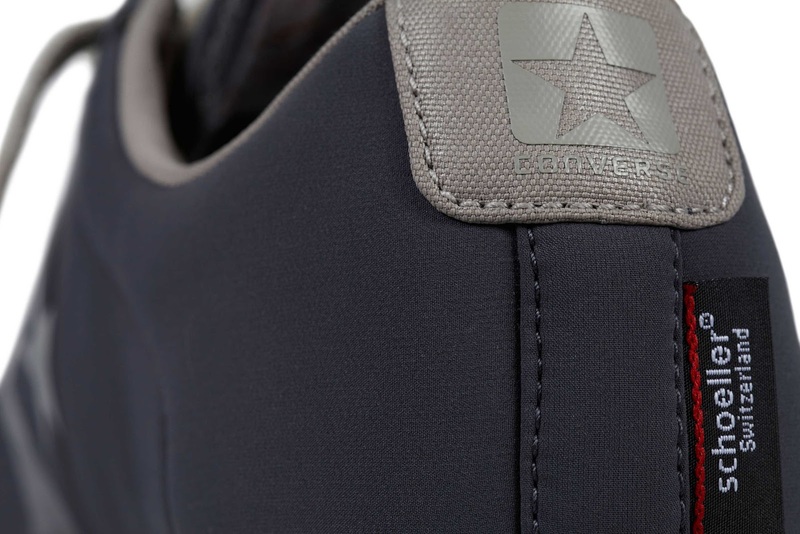 Schoeller's iconic woven label is also seen on the heel of the shoe.